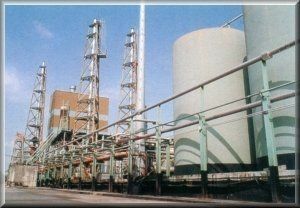 Dunwell Petro-chemical (DPCL) was established in November 1991. Our major business was to market Prolong Anti-friction Metal Treatment (AFMT) additives in Hong Kong. In 1993, Dunwell took over the lubricant refinery and blending facility in Yuen Long Industrial Estate with total area of 100,000 sq.ft. and our production capacity reached 2000 tons per month. Products became more diversified; including hydraulic oil, motor oil, compressor oil, slide-way oil, metal cutting oil etc. Dunwell was also accredited for ISO 14001 and ISO 9001 : 2002 certificates in 1999 and 2003 respectively. 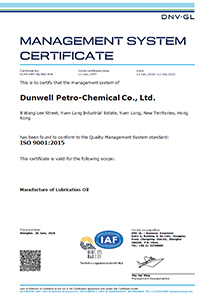 In additional , Dunwell lube products was Q-mark certified and customer satisfaction can be assured. 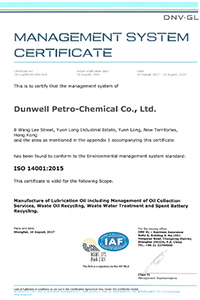 Dunwell Petro-chemical Co., Ltd. had started supplied appointed recycled lube to HKSAR government in 2002.